ANP Brazil’s National Petroleum Agency is looking at doubling the country’s O&G production and also its proven reserves in the next 10 years. According to Magda Chambriard, ANP’s Director, that is the challenge faced by the local O&G industry. According to Magda, the O&G industry is already receiving 63% of the country’s investments, and Brazil will still need to invest US$400 billion in the next decade in the services area in order to meet the industry’s demands, while sticking to the local content regulations. Brazil has proven reserves to the tune of 15 billion barrels boe. “The demand on a minimum local content figure on projects in the service area for the O&G industry has created a niche of opportunities for Brazilian and foreign companies present in Brazil, that cannot be ignored. 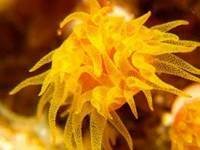 The seas contain an uncounted number of species of plants and animals. These creatures provide a vast storehouse of chemical compounds unknown on land. An ocean commission report lists chemicals and biological materials from marine organisms now in use or development, including 10 anti-cancer drugs, drugs to fight inflammation, fungus, tuberculosis, HIV, malaria and dengue. Recently, Scripps marine chemists isolated a chemical from a rare species of coral that shows promise as a potential drug to fight breast and ovarian cancers. 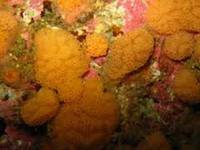 Other Scripps scientists discovered a chemical from a marine sponge that shows potential for treating inflammation and pain without the problems associated with aspirin and other anti-inflammatory drugs. In order to advance marine protection and scientific research in one of the last great ocean wilderness areas on the planet, the United States submitted a proposal to the Commission for the Conservation of Antarctic Marine Living Resources (CCAMLR) on September 7 to establish a marine protected area (MPA) in the Ross Sea Region of Antarctica. U.S. Secretary of State John Kerry Monday urged creation of what would be the world’s largest marine reserve in Antarctica and better safeguards for all oceans. Kerry and New Zealand’s Ambassador to the United States, Michael Moore, announced a joint U.S.-New Zealand proposal to establish a Marine Protected Area in the Ross Sea, a 1.9 million-square-mile area off the Antarctic coast. Scientists and engineers from the Woods Hole Oceanographic Institution (WHOI) have partnered with two companies to market undersea technology developed at WHOI. The technology includes the Imaging FlowCytobot, an automated underwater microscope, and BlueComm, an underwater communications system that uses light to provide wireless transmission of data, including video imagery, in real or near-real time. Since 2003 a submersible flow cytometer developed at WHOI, FlowCytobot, has been measuring and counting the smallest phytoplankton (cells <10 micro-meters) at the Martha’s Vineyard Coastal Observatory (MVCO), recording optical signals from individual cells as they pass through a focused laser beam. Clean up continues after Super storm Sandy hit Barnegat Bay. Three companies were awarded contracts to clear New Jersey's waterways of debris before spring arrives. State authorities have removed more than 1,000 boats since the storm hit, but the remains of many others, plus debris resulting from everything from destroyed homes to derelict vessels previously undetected pose a threat to navigation as the spring boating season draws near. 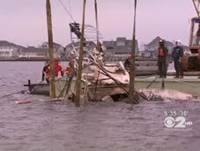 The area with the worst structural damage was identified as northern Barnegat Bay, near the area where a 20 foot-deep inlet formed near Herbert Street in Mantoloking. Cleaning up the bay entails first locating submerged debris in brackish water, which is difficult to see through, except in very shallow spots. Filmmaker James Cameron recently formed a partnership with the Woods Hole Oceanographic Institution in Woods Hole Massachusetts. The partnership is designed to stimulate advances in ocean science and technology and build on the historic breakthroughs of the 2012 Cameron-led DEEPSEA CHALLENGE expedition exploring deep-ocean trenches. The announcement comes on the one-year anniversary of Cameron’s unprecedented solo dive to 35,787 feet, almost 11,000 meters, to the deepest place on Earth—the Challenger Deep in the Mariana Trench—in the vertically-deployed vehicle he and his team engineered, the DEEPSEA CHALLENGER submersible system and science platform. Antarctica’s largest subglacial lake known as Lake Vostok is located beneath Russia’s Vostok Station, a Russian research station located at the southern Pole of Cold. The surface of Lake Vostok lies approximately 13,100 ft (4,000 m) under the ice surface. Measuring 250 km (160 mi) long by 50 km (30 mi) wide at its widest point, and covering an area of 15,690 km (6,060 sq mi) and an average depth of 344 m (1,129 ft). It has an estimated volume of 5,400 km (1,300 cu mi). The lake is divided into two deep basins by a ridge. The liquid water over the ridge is about 200 m (700 ft), compared to roughly 400 m (1,300 ft) deep in the northern basin and 800 m (2,600 ft) deep in the southern. Recently researchers found evidence of an unidentified organism in water samples brought up from Lake Vostok. Aquarius is a focused effort to measure sea surface salinity and will provide the global view of salinity variability needed for climate studies. The mission is a collaboration between NASA and the Space Agency of Argentina. Launched June 10, 2011, aboard the Argentine spacecraft Aquarius/Satelite de Aplicaciones Cientificas (SAC)-D, Aquarius is NASA's first satellite instrument specifically built to study the salt content of ocean surface waters. Salinity variations, one of the main drivers of ocean circulation, are closely connected with the cycling of freshwater around the planet and provide scientists with valuable information on how the changing global climate is altering global rainfall patterns. European scientists are planning to explore deep trenches off the coast of New Zealand in an effort to find new antibiotics. The project is called PharmaSea and is lead by Aberdeen University. The project says they will begin work at the Atacama Trench in the eastern Pacific Ocean, 161 kilometers off the coast of Chile and Peru and then move to New Zealand. They will also explore trenches in the Southern Ocean, in the northwest Pacific and off Norway. Project leader Marcel Jaspars said there had not been a completely new antibiotic registered since 2003. There was growing resistance to the drugs. Using fishing vessels, researchers will drop a sampler on a reel of cables to the trench bed to collect sediment. Argo's global array of profiling floats will provide a major contribution to the Global Ocean Observing System (GOOS) and the Global Climate Observing System (GCOS). The Intergovernmental Oceanographic Commission (IOC) and the World Meteorological Organization (WMO) endorse Argo. The floats return to the sea surface at regular intervals and data are transmitted via satellite for processing. A significant improvement is expected in data coverage, particularly in the remote ocean regions where floats can be deployed via airdrops. In October 2007 it achieved its goal of 3000 operating floats. These are providing around 100,000 observations each year, throughout all the ice-free deep-ocean areas of the world. During a recent expedition researchers from England’s National Oceanography Center found the remains of an old "chimney," formed when the water is much hotter, according to a release from the institution. This suggests the vent was once more active and likely supported a variety of strange life, including the kind found near other hydrothermal vents. This time, however, the cameras didn't find any such life at the vent, found at a depth of around 3,900 feet. The underwater camera that found the vent is known as SHRIMP and was towed by the research vessel RRS James Cook. The scientists were towing the camera system in a little explored region south of the Shetland Islands and north of the Antarctic Peninsula known as the Bransfield Strait. Geologists from the Monterey Bay Aquarium Research (MBARI) center used autonomous underwater vehicles (AUV) to investigate faults off the California coast in an effort ascertain any risks associated with them. For this study, the team focused on the coast of Southern California, in a region called the California Borderland. The ultra-high-resolution image of the seafloor was collected with the help of MBARI's autonomous underwater vehicles (AUVs). With the aid of these images, they measured the rate at which two crust pieces slide past each other, known as 'slip rate'. 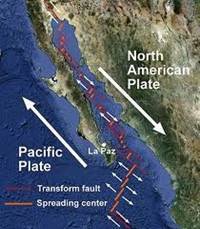 These are located within a region of the Borderland called the San Diego Trough Fault Zone that runs from the Mexican border northward toward Catalina Island. Scientists from the University of Aberdeen and Te Papa Museum discovered a new species of eelpout that had not previously been known in the southwest Pacific. The voyage covered waters well below the depth to which light penetrates, sampling depths between one to six km on the edge of the Kermadec Trench. It is one of the deepest places on earth with depths exceeding 10 km. The scientists on board RV Kaharoa, from the University of Aberdeen and NIWA, used landers, with cameras attached that free-fall to the seafloor, as well as baited fish traps to attract animals, according to a NIWA statement. Voyage leader Dr. Alan Jamieson from Aberdeen said: The amount of data recovered during the survey was considerable. 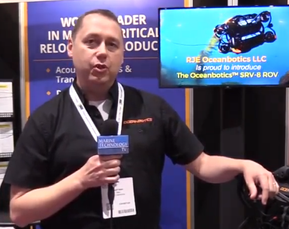 The Ocean Observatory Initiative (OOI) is making strides in the future of ocean exploration. 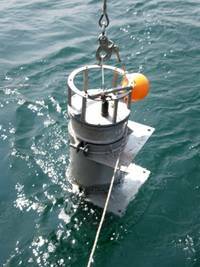 The OOI's networked sensor grid will collect ocean and seafloor data at high sampling rates over years to decades. 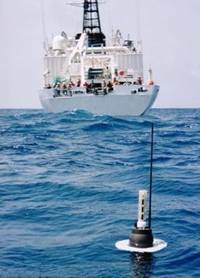 Researchers will make simultaneous, interdisciplinary measurements to investigate a spectrum of phenomena including episodic, short-lived events (tectonic, volcanic, biological, and meteorological), and more subtle, longer-term changes and emergent phenomena in ocean systems (circulation patterns, climate change, ocean acidity, and ecosystem trends). 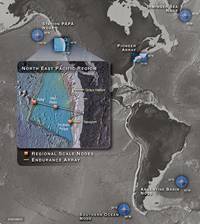 The OOI is comprised of three levels of ocean observation including coastal, regional and global. Chile has become the first country to ban bottom trawling by passing the Chilean Fisheries Law. The law bans bottom trawling in the country's vulnerable marine ecosystems, including the precautionary closure of all seamounts in Chile, and establishes a system in which all fishing quotas will be based on scientific recommendation. It requires the implementation of reduction plans for by-catch and discards for every commercial fishery. 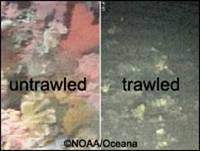 The new law bans bottom trawling in all vulnerable marine ecosystems and includes the immediate closure of all 118 of Chile's seamounts to the destructive practice of bottom trawling, covering an area of 150,000 square kilometers. Seamounts are underwater mountain ranges where nutrient-rich water up wells from the deep, fueling large ecosystems. The USS Hatteras was an iron-hulled sidewheel steamship that was converted to a gunboat by the US Navy to enforce the wartime blockade of southern ports during the US Civil War. 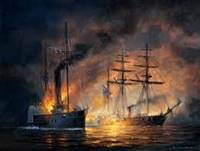 The Hatteras was lost in a brief, unequal battle with a better-armed foe, the Confederate raider CSS Alabama, on January 13th, 1863. The Hatteras was the only US warship sunk in combat in the Gulf of Mexico during the Civil War. Alabama sank Hatteras after a 20-minute exchange of cannon fire; two crewmen from the Hatteras were killed in the action. Six men managed to escape and the rest of the 126 man officers and crewmen were captured and taken to Jamaica, where they were paroled. A team of researchers led by Mark Baumgartner and Dave Fratantoni, scientists at Woods Hole Oceanographic Institution (WHOI), are using AUV technology to study North Atlantic right whales. 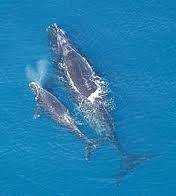 The project employed ocean-going robots called gliders equipped with a digital acoustic monitoring (DMON) instrument and specialized software allowing the vehicle to detect and classify calls from four species of baleen whales – sei, fin, humpback, and right whales. The gliders’s real-time communication capabilities alerted scientists to the presence of whales in the research area, in the first successful use of technology to report detections of several species of baleen whales from autonomous vehicles. The oceanographic research project was underway from Nov. 12 through Dec.
Rod Macdonald a well-known diver in Scotland has surveyed and researched the country’s most famous shipwrecks. He has surveyed and researched 25 lying in Scottish waters for his new book, Great British Shipwrecks. Macdonald started with the famous shipwrecks of the Scapa Flow in the Orkney Islands. He also included the WWI British cruiser HMS Hampshire in the survey, which rests in over 200 feet of water off Marwick Head, north west of Orkney. 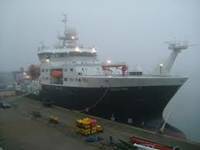 Other ships included in the survey were Thesis, Hispania and Shuna, and cargo ship Rondo in the Sound of Mull. The Dutch steamship SS Breda, lost near Oban in 1940, and the WWII minelayer HMS Port Napier off Skye were also included. Macdonald then went on to explore the remains of HMS Pathfinder, the first Royal Naval warship sunk by a U-boat in WWI.